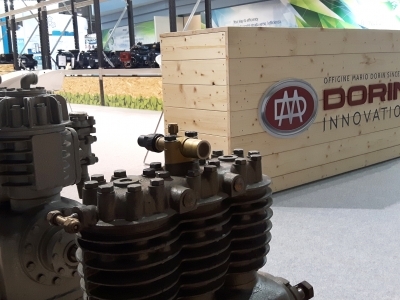 For the historic brand OFFICINE DORIN, we have developed the exhibition project for the MCE event in Milan (140 sqm). 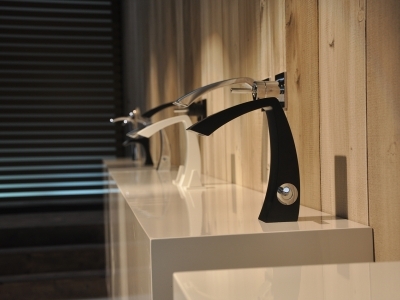 A complex project where natural spruce elements combine with metal shelves that serve as display podiums. 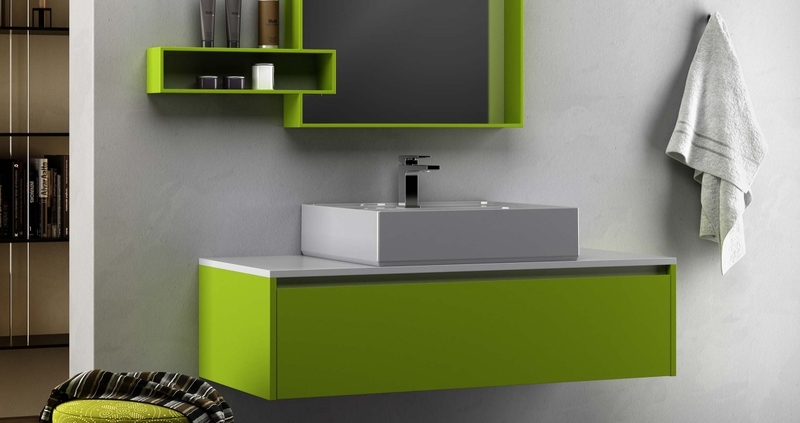 A balance of colors and materials to recreate a space capable of expressing the company's attention to products that respect the environment. 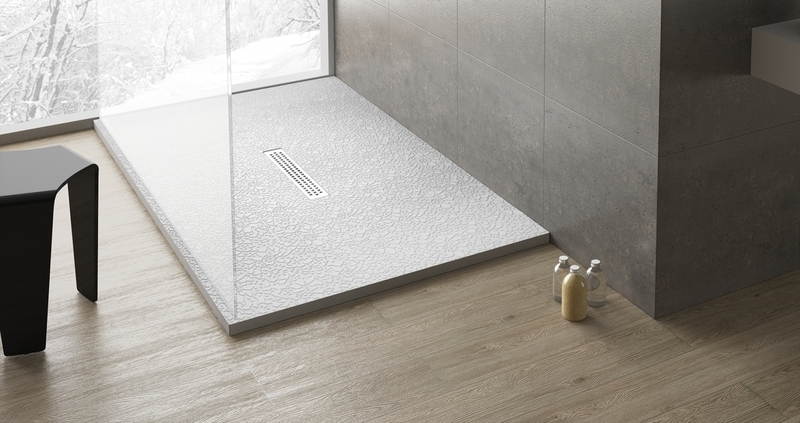 The FEEL shower tray collection is enriched with two new lines; The Macramè line and the Velvet line. 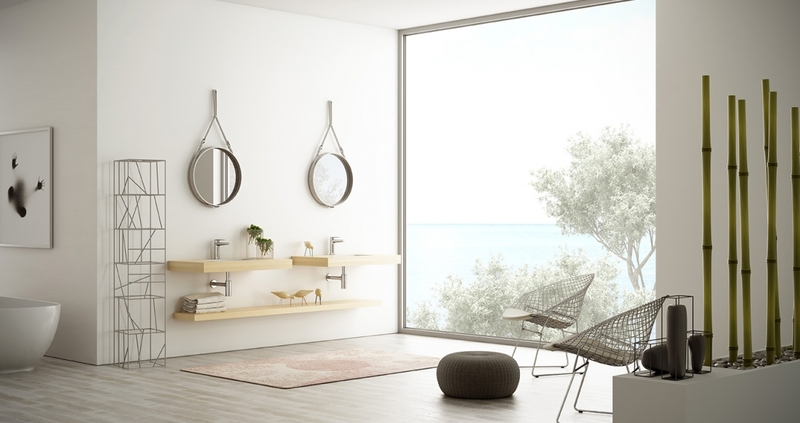 An image tied to the world of yarns reinterpreted by another material to give life to a unique and sophisticated shower tray: soft and delicate lines that define an infinite plot, the evolution of a design that becomes a product. A refined reinterpretation of the macramè as a decorative element and a unique tactile sensation of matter add up to a form of extraordinary elegance. 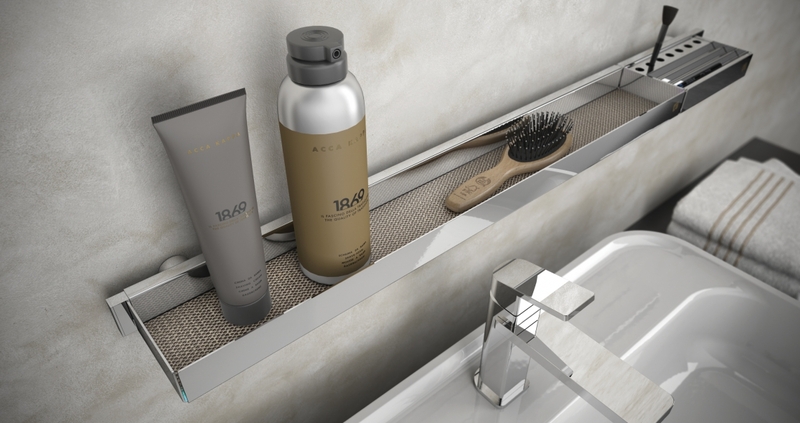 Precious details that transmit harmony and balance to the bathroom environment. The original texture creates an image of continuous elements, determined by a geometric decomposition of the yarn to which it is inspired. 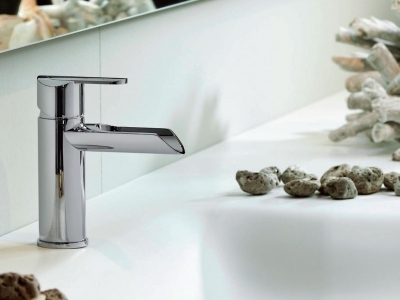 The most complex aspect lies in the relief geometric shapes that only 0.2 mm thick are specially designed for water outlet on the surface and make it easy to clean because it is not porous, but homogeneous and smooth throughout its design. 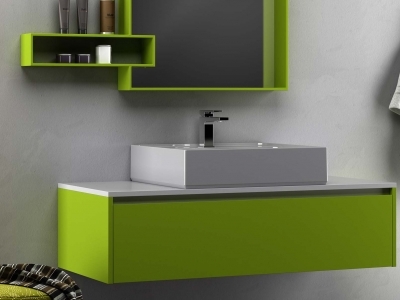 Trinity is the new versatile item of furniture from refined design. 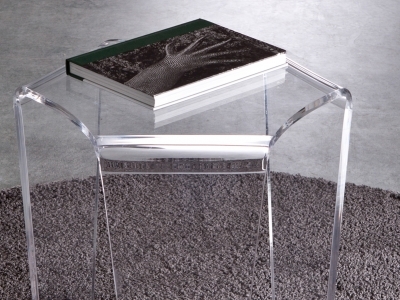 It can be used both as a coffee table and as an elegant stool for the bathroom, room or other home environments. 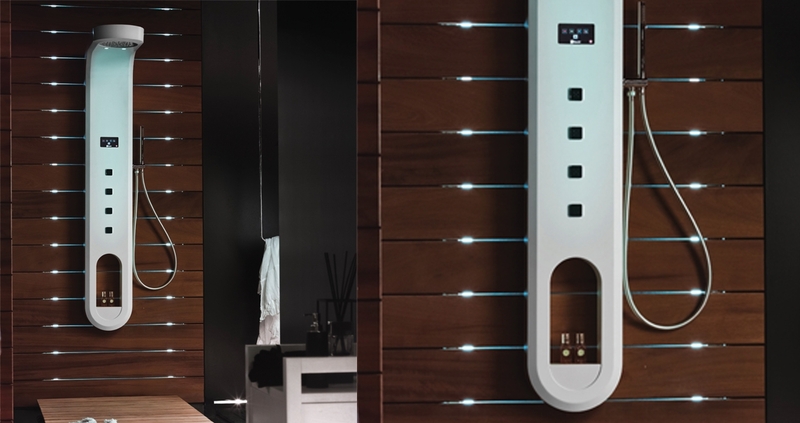 An innovative solution and a step with the times of particular beauty, able to fit harmoniously into any interior design project. 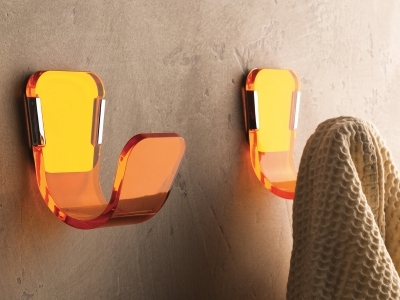 Made of high 12 mm thick plexiglass and hand-thermoformed. 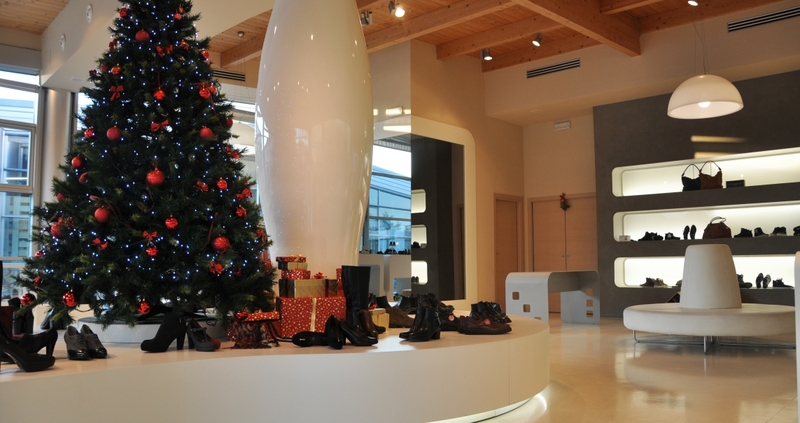 The historic Tribolati brand also entrusted us with the renovation of its shop located in Badia di Montepulciano. 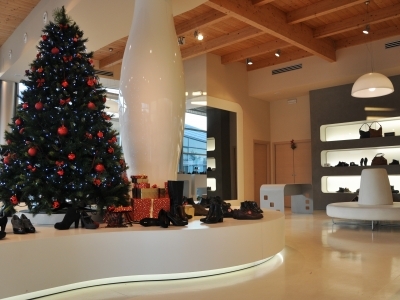 The end result is a luminous environment, chosen specifically to enhance the beauty and quality of the footwear of the Tribolati brand. 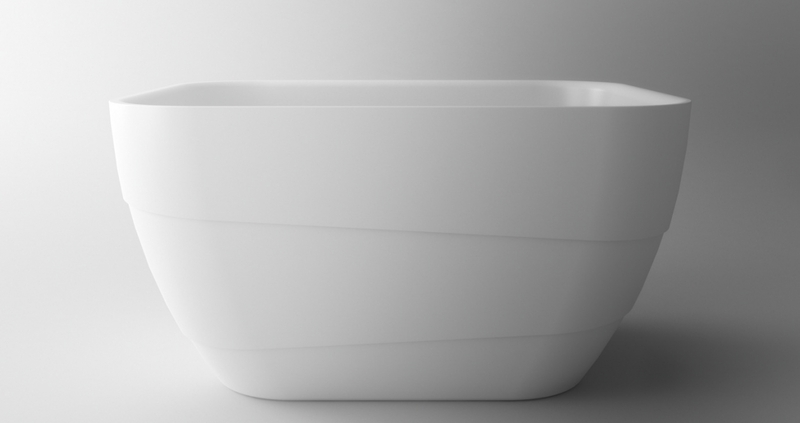 The Jump series is born from the idea of enriching a minimal design with innocuous organic flavors. 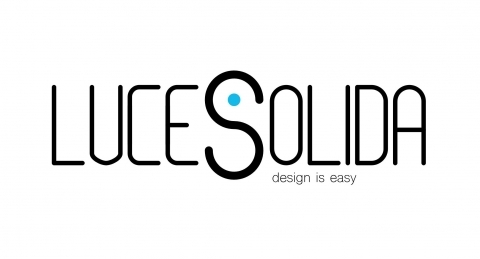 Thus a product is born with unique and sought after details. 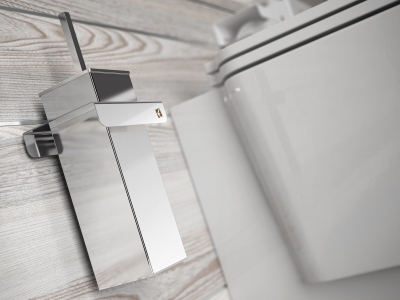 Fittings between the larger surfaces, external melting aerator door that resembles the natural flow of water; Elements that make the product unique and recognizable. 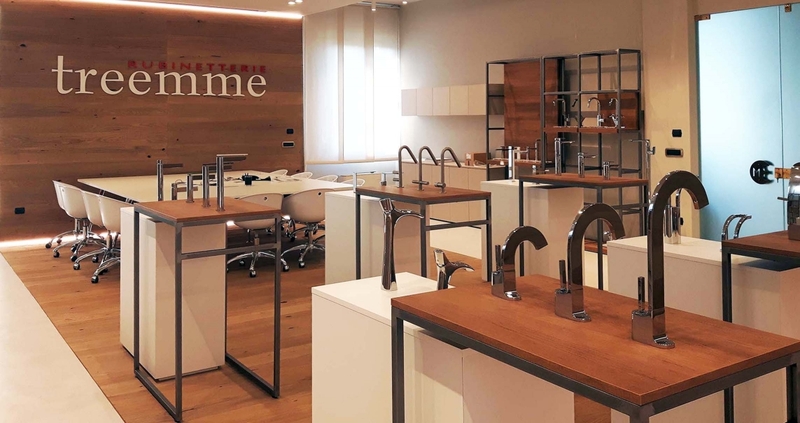 This project involves the refurbishment of several offices in the Rubinetterie Treemme business premises for a total of 180 square meters. The warm and welcoming atmosphere of the reception continues in the conference room; The use of soft-colored resins alternating with natural wood floor and wall elements give the environment a comfortable feel as a warm embrace. 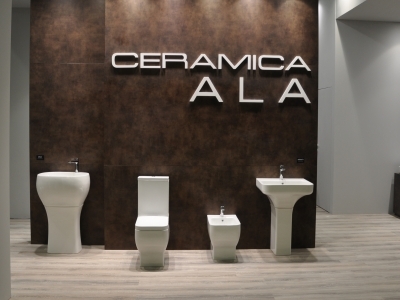 From the soft and sophisticated lines, Diva is characterized by its proportions and continuous geometries. No breaks for an organic design inspired by the uniqueness of Giraffa Women. This restructuring project puts the customer in the center and its history. 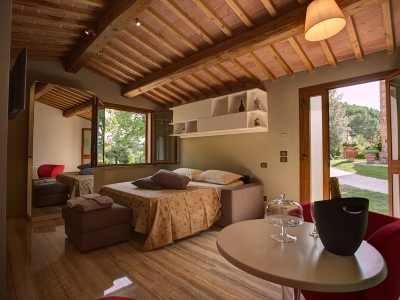 We decided to renovate the rooms while keeping the old fireplace position, but completely changing the identity. 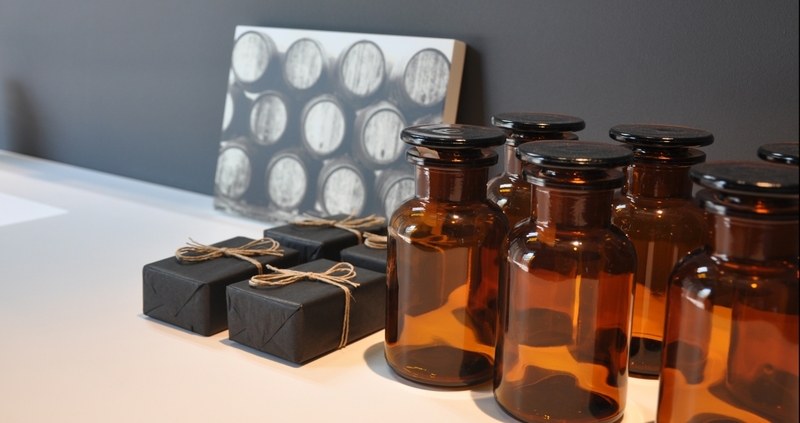 We used natural materials to create a sincere and intimate convivial place. 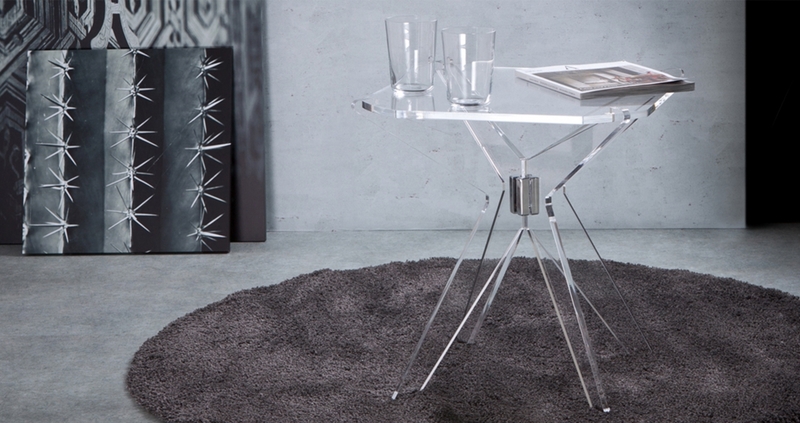 The Pablo Table (90x210 cm) has been custom-made using a special technique for fixing the four legs. 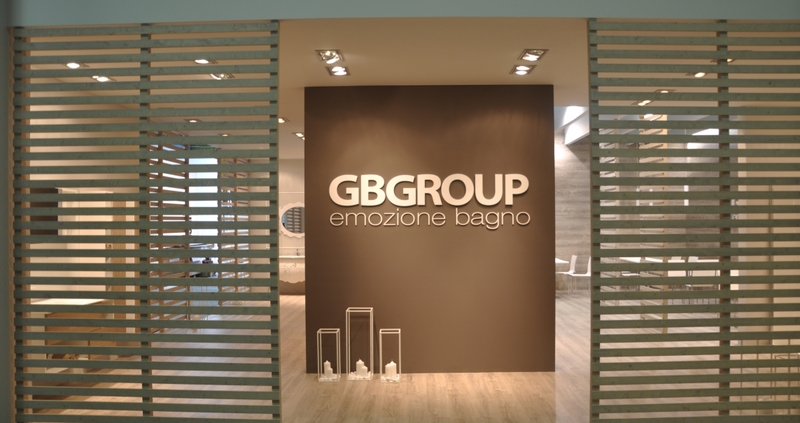 For the Salone del Mobile 2016 event, we renewed the exhibition image of the GB GROUP company. 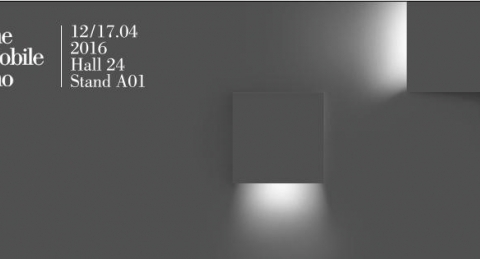 A new scenography based on the use of directional lights concentrated in a dark gray painted structure. 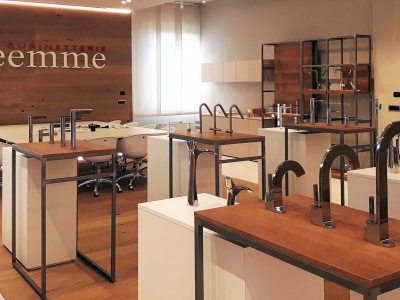 The museum effect, recreated on a 100 sqm surface, brings the product to the center of communication, exalting its finishes and high quality construction materials. The details that make the difference. 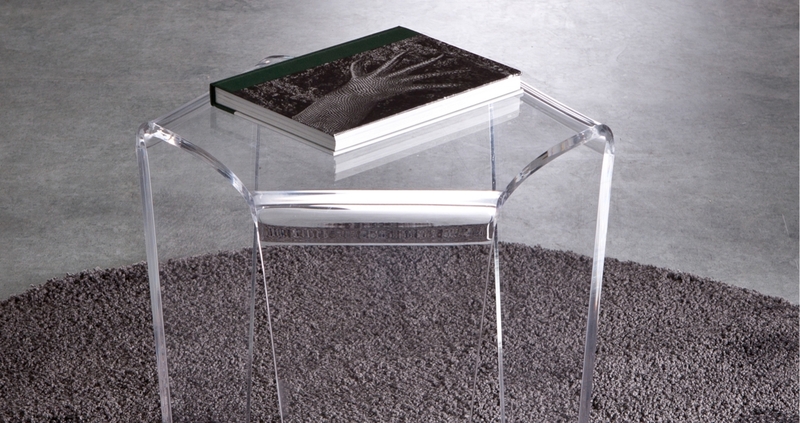 Gliss is a small tables entirely made of Plexiglass. 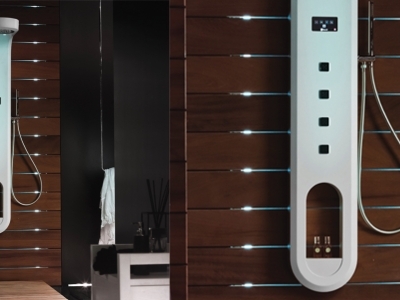 Gliss is composed of three pieces that fit together creating a load-bearing structure and resistors. Customizable colors and surface textures. 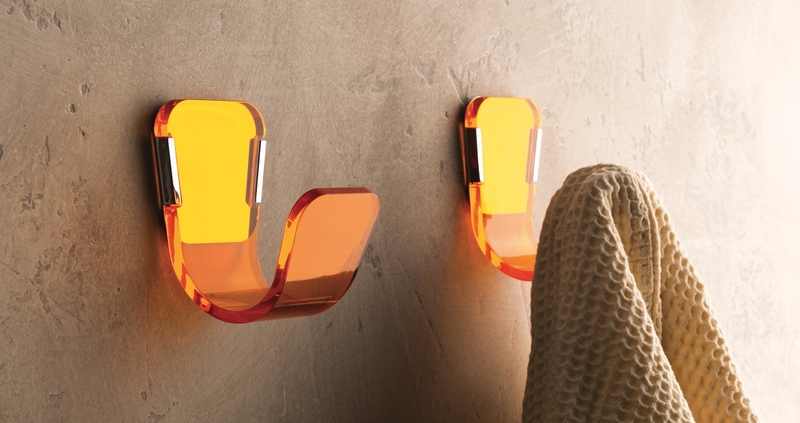 The Happy hanger designed for LUCESOLIDA is made entirely of Plexiglas. 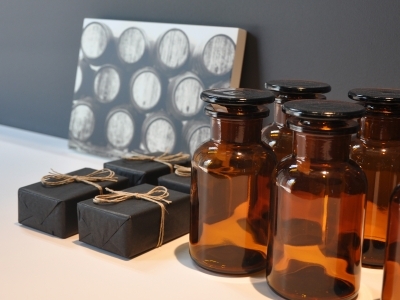 E 'consists of two elements that fit together, creating an object with strong references to the natural world. 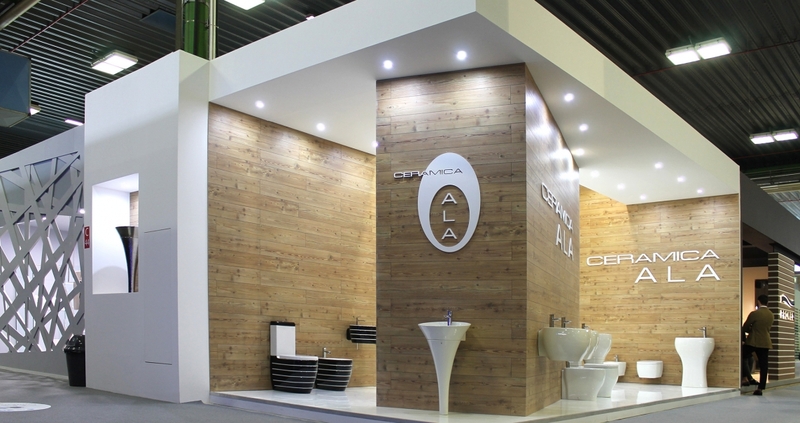 Design of the 48 mq stand for CERAMICA ALA brand for the Cersaie Event in Bologna, wich was held in 2016. Open spaces and great visibility. Finishes in laminate Cleaf, to enhance pure ceramic white. 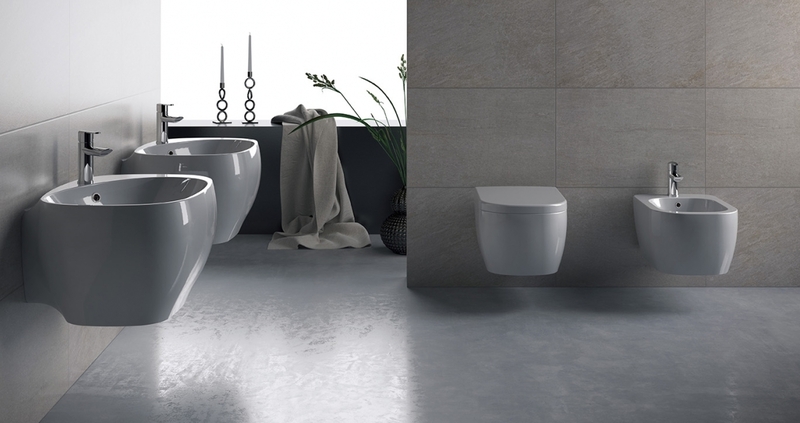 Ceramic washbasin with extremely thin edges with a sophisticated mixer. 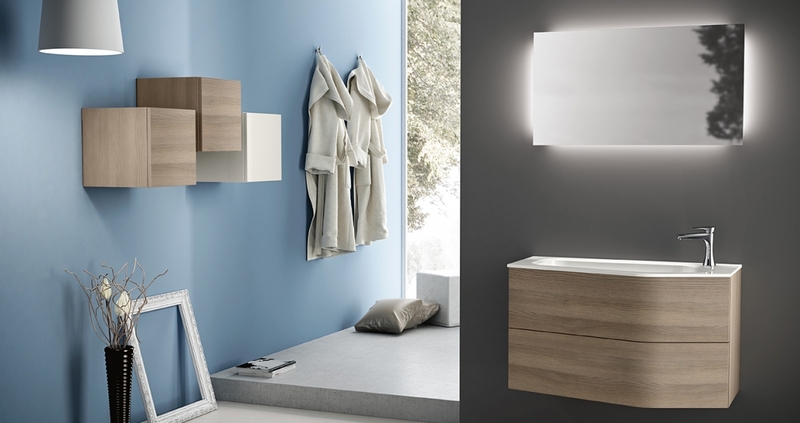 The outer silhouette is characterized by the suspended body effect. 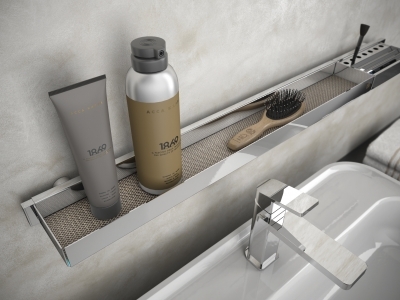 PRIVE 'restructured suite. The project places the Tuscan travertine in the center of the living environment, highlighting it in a renewed and modern key. An ancient material as a bridge for a look at the future. 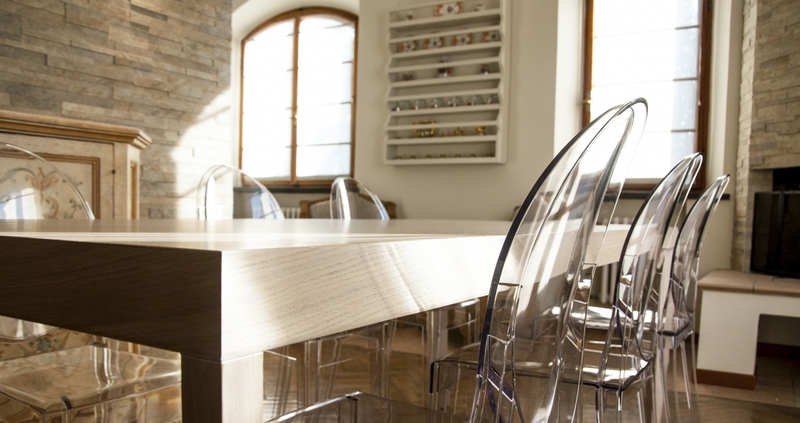 Details of the finishes on the walls, for a natural and welcoming atmosphere. 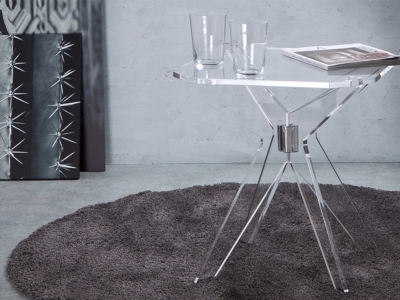 The Freedom series originates from the will to express freely ethereal and sinuous forms. The elements that make it are fluid and dynamic objects as if they were carved from the wind, where harmony lies in the simplicity of the lines as well. 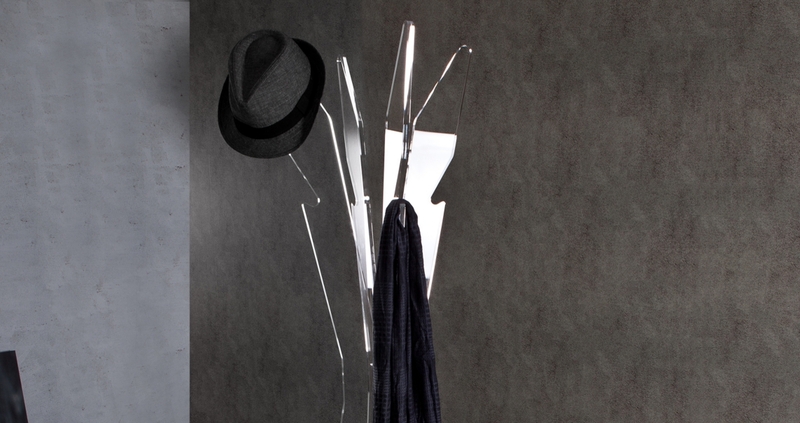 The rigorous search for detail for a series of singular and eye-catching accessories. With a wall or binder attachment, this series of camelotomy DNA naturally integrates with multiple furnishing solutions. 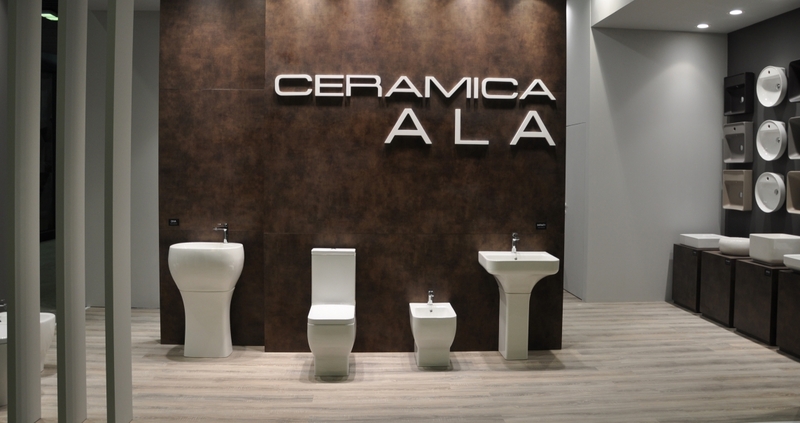 A large surface solid washbasin, where a play of volumes that compete and characterize the aesthetics. 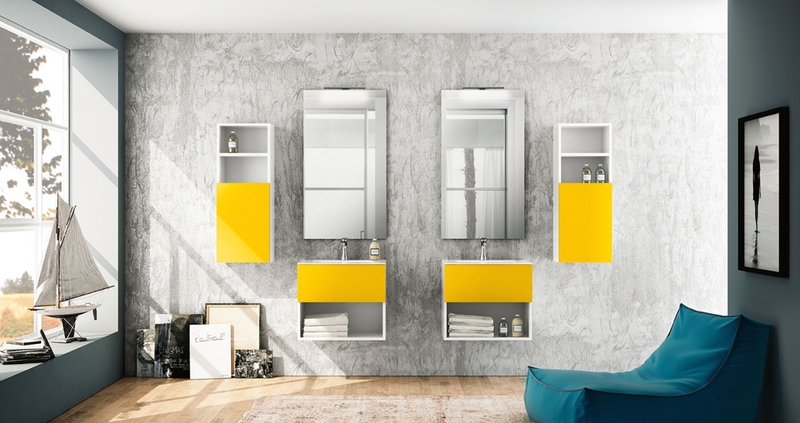 An irreverent bathroom series like a cheerful and sunny young man. 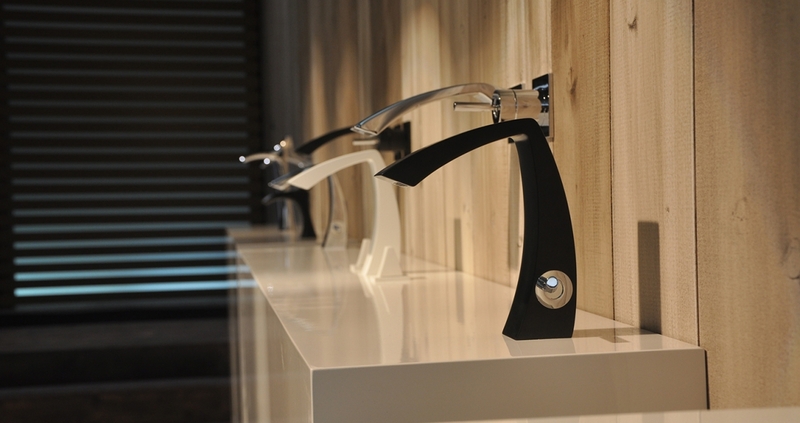 Composed of only four pieces, it was created by injection molding in a polymeric alloy with high mechanical properties. 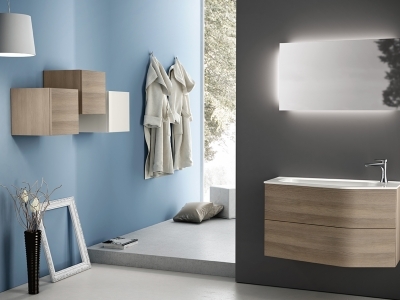 Presented in various colors is distinguished by the original and unusual geometry. Originality of volumes distinct in full and empty. 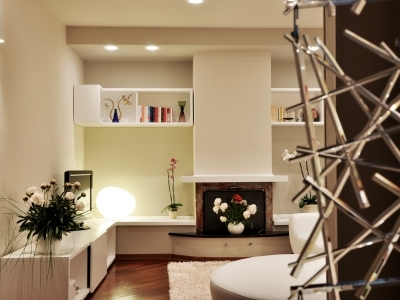 White-shell monobloc and doors in wood or lacquered wood. Open as the man to whom it is addressed. The wise ability to shape the wood gives rise to Latitude, where irregularities in curved doors characterize the modular series. 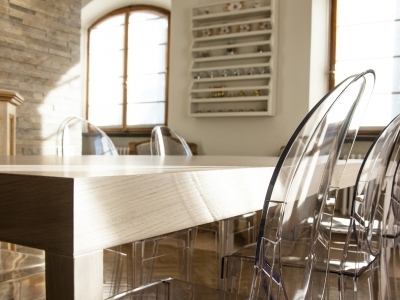 Shaped tops and tops on solid surfaces. 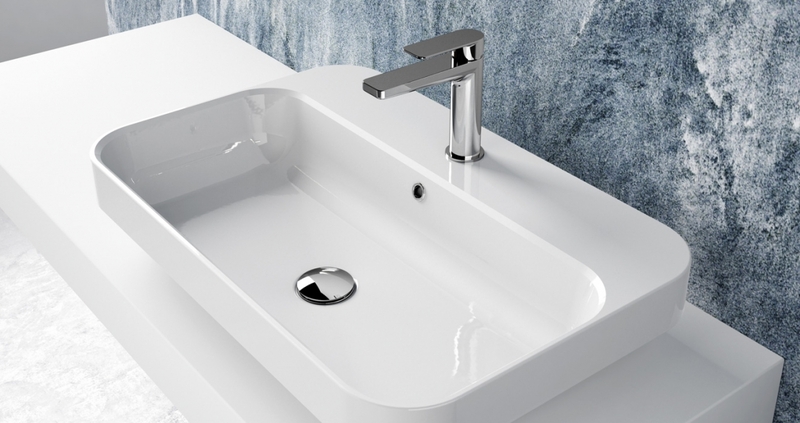 Archè is a series of bathroom mixers with strong iconic identity. 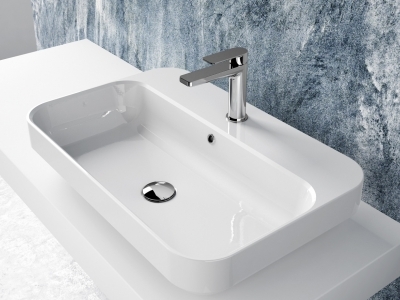 The sought after and timeless geometries combine with advanced manufacturing technology, allowing the mixer body to be mounted to the side of the object. Arc surfaces are a strong reference to the natural trajectory of a jet of water. Also made in open mouth version with lava inserts. 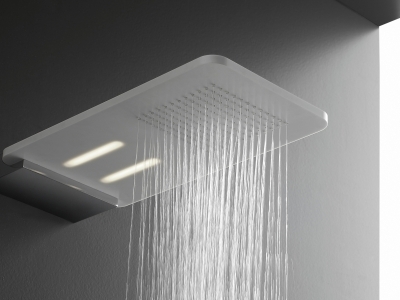 S01 is the first shower box proposed by the 4F brand. 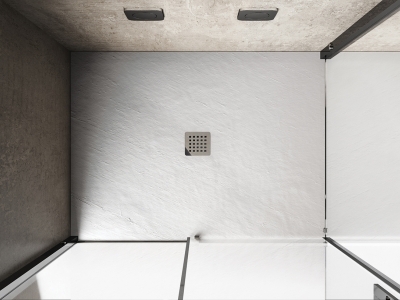 This complex project has been focused on proposing new shower solutions, namely 21, while maintaining a constant aesthetic structure. 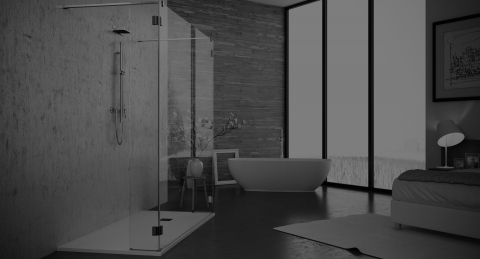 S01 is thus the only shower enclosure, where any need can be achieved while maintaining the aesthetic taste. 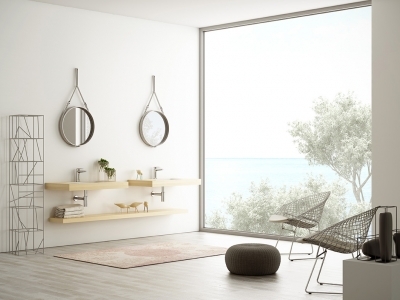 All the complexity of the system is concealed in an aluminum profile that allows the glass door extensibility in a way that is not visible from the outside. 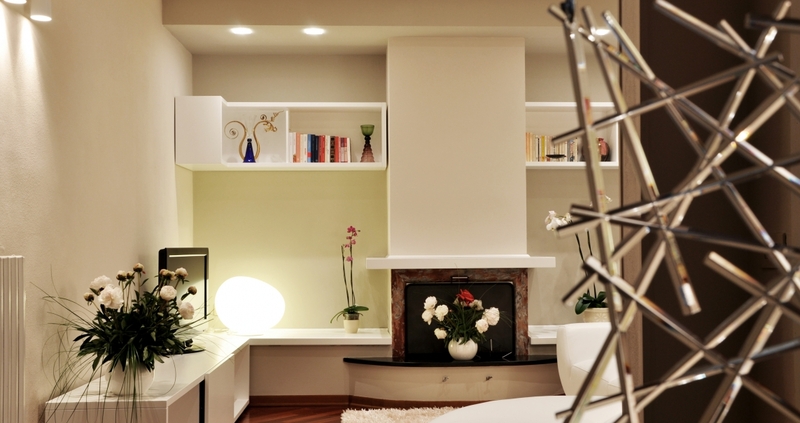 Interior design for a 150 sqm apartment. 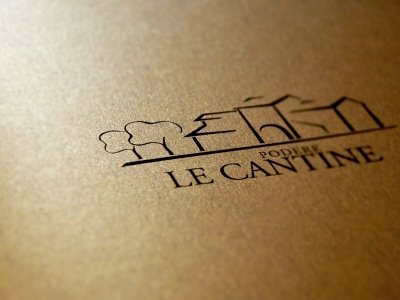 The design choice was to guarantee large open spaces and a particular choice of colors to ensure a natural atmosphere. On the walls reproductions of some European cities, as a reminder of commemorative travel memories. 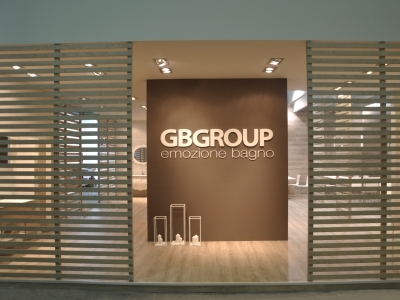 Design of the 100-sqm exhibition stand for the GB Group brand for the Cersaie event in Bologna. Open spaces and great visibility. Natural wood frame frames at the two main entrances. Convenience and welcome the adjectives that accompany me in every project. 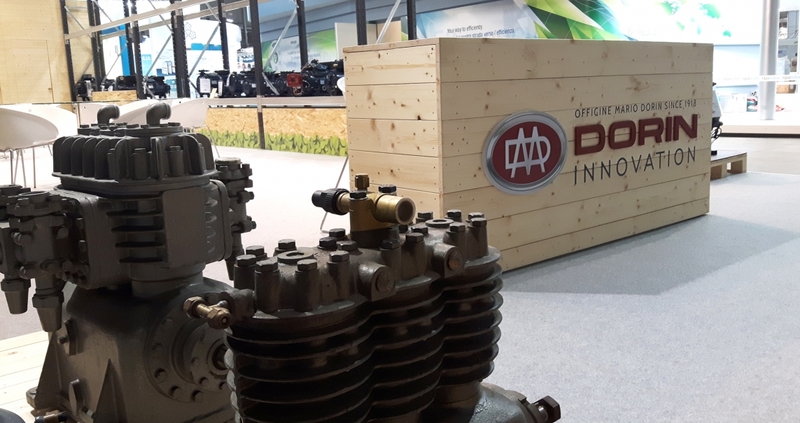 The exhibition stand is an extension of the company and in every form it has to enhance the uniqueness that characterizes it. 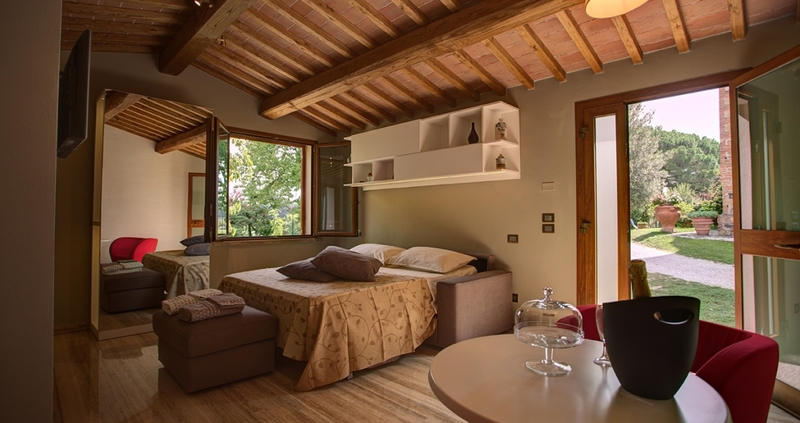 The restoration of the sleeping area of a noble apartment was carried out with the prerogative of creating a cozy and natural environment through the use of materials and natural colors. The headboard of the bed was made of padded panels and embossed in fabric with relief textures to recreate the suggestion of a wooded environment. 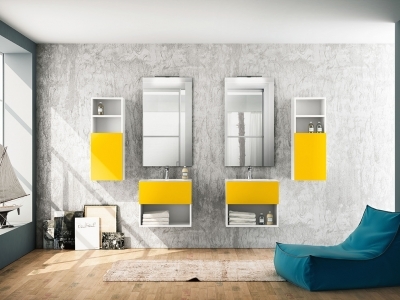 Wall-hung enclosure cabinet with opaque lacquer finish, and contemporary and technical accessories that blend in an exclusive environment. 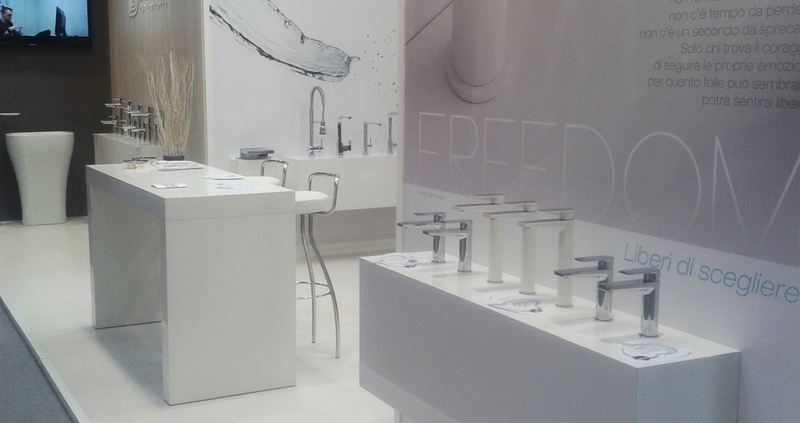 The historic Tribolati brand has entrusted us with the design of the new store in Sinaluga. 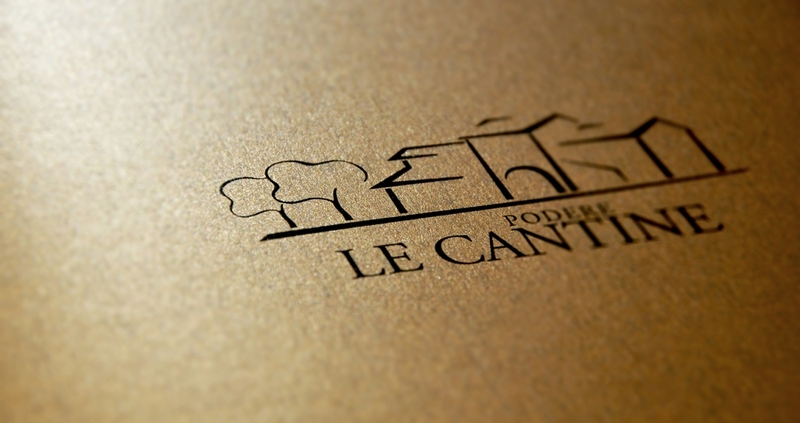 The project is a net cut with the past, to exalt exclusive products and to a much wider clientele. 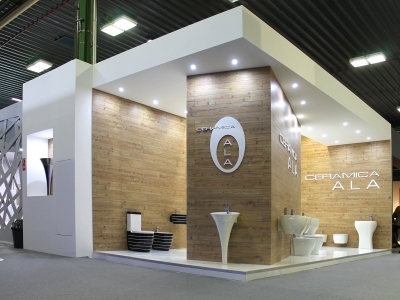 The use of innovative materials and techniques has made it possible to create a modular and flexible exhibition system. 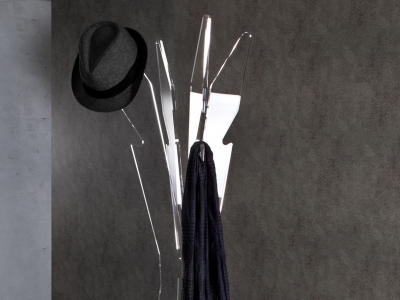 Everything revolves around the large shaped central column made of two pieces in technical foam material and finished with acrylic resins and polished lacquer. 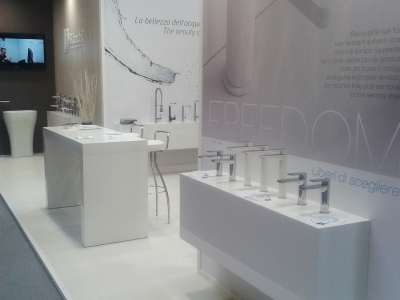 White Stand Project 48 square meters taps for the Cersaie event in Bologna. Highlight a gigantography to present the new mixer series. 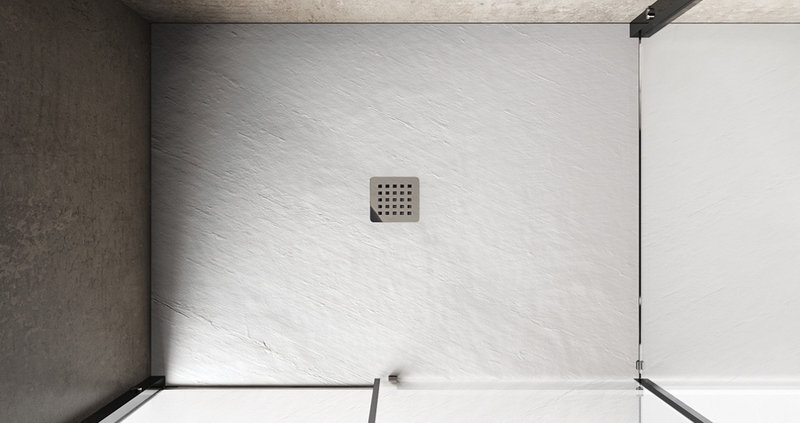 This solution divides the exhibition spaces from the contract area, ensuring privacy even in small spaces. 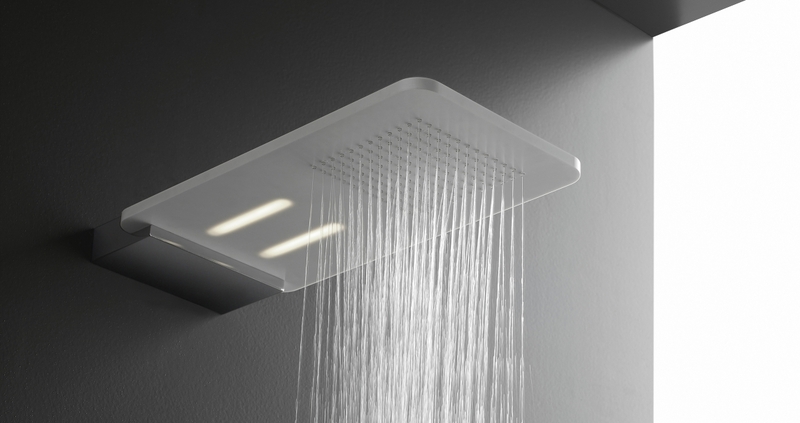 The KIKO column is a multifunctional shower column made of Solid Surface. Inside, there is a Touch Screen control system able to handle all the functions it has. Simplicity of command and strong personality for the well-being of our body. 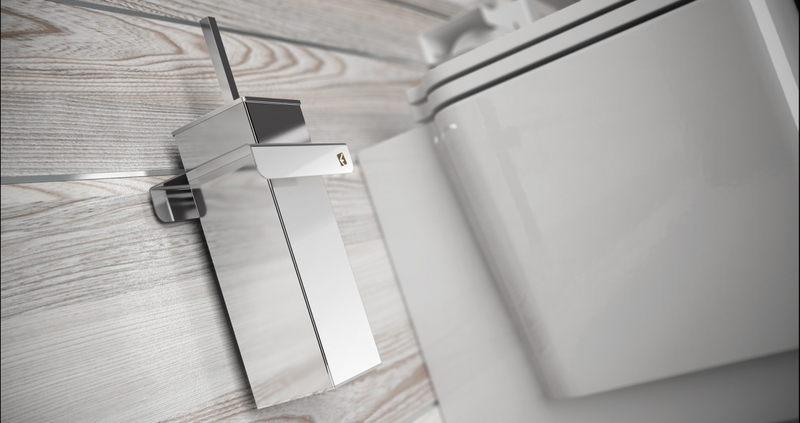 The PLANA bathroom accessories series is entirely made of brushed and polished steel ion. 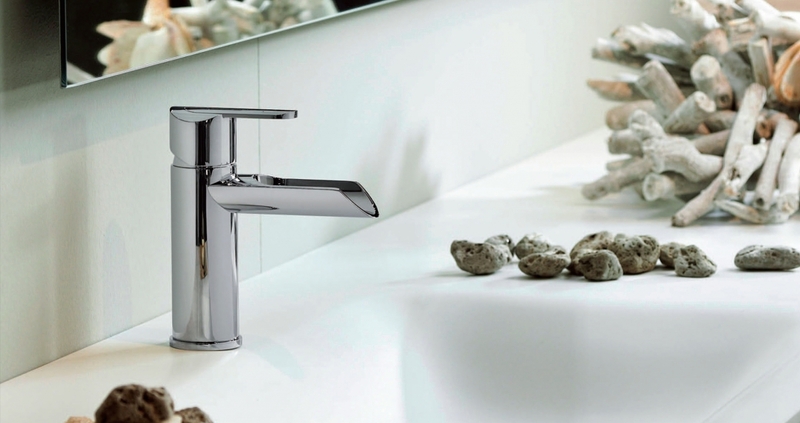 Practical use, detail elegance: essential elements that blend to create a series of unique features. 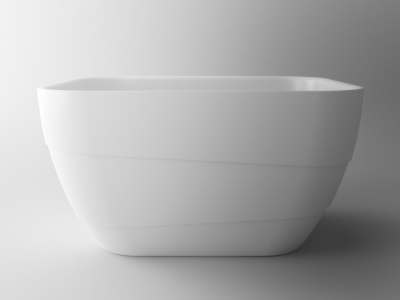 Plana, a project that allows dynamism in combining various articles for customizable solutions. 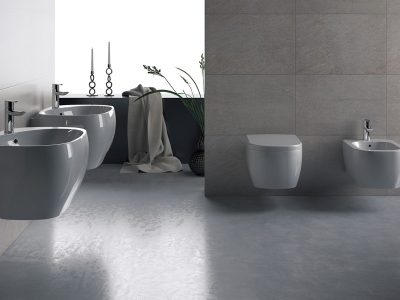 Feel is the new line of unpainted shower trays made of a single SOLID TECH © pasta, consistent throughout its thickness, both in color and in mechanical composure, which make them endlessly restored. 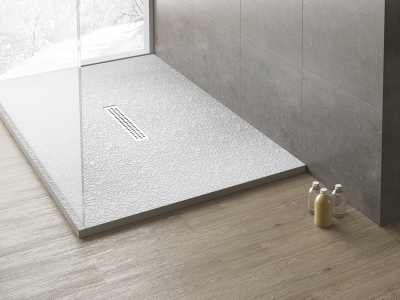 An object incredibly resistant to limescale, falling objects and wear, but at the same time also stimulating for its decorative creativity: the Feel shower tray can be completely customizable in cutting and measurements. 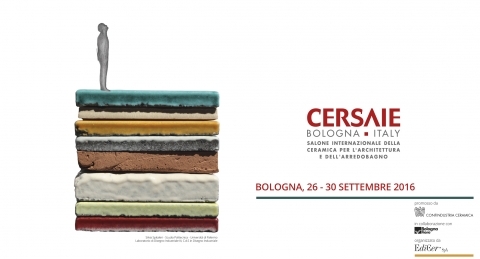 Also this year the 3DF DESIGN will attend the international exhibition CERSAIE in Bologna with 4 new projects designed to Bianchi Rubinetterie, GB Group, Ceramica Ala, Treemme Rubinetterie.